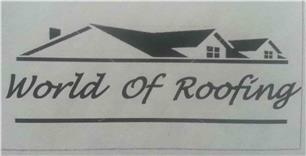 World of Roofing - Fascia/Soffits/Guttering, Roofer based in Epsom, Surrey. World of roofing is a well established company that has been satisfying customers throughout south London and Surrey for the past ten years. We carry out all aspects of roof work as small a replacing individual tiles to as big as installing complete new roofs. Having been in the trade for over 13 years we like to pride are selves in maintaining a reliable honest approach. Working with integrity and achieving a level of customer service and workmanship second to none. We here at world of roofing understand that when having work carried out on your family home you need someone who will provide you with a respectable quote that works to your satisfaction from people you can trust. There is no callout charge and we will provide you with a competitive quote without compromising on are high quality work.